Distinguished, admired, respected – there is no shortage of superlatives to describe the late Mr. George H. Nienhueser, Jr. He experienced an immense life as a decorated war hero of “The Greatest Generation” who went on to be an educator and school administrator. His 26 exemplary years as principal of Bowling Green High School proved influential to his fellow staff members and thousands of students who passed through those hallways. 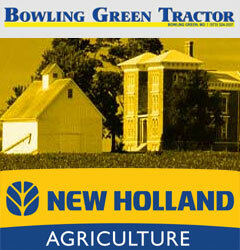 Mr. N. died on Wednesday, March 22 in Springfield at 92-years-old. He will be remembered by many as a trusted friend, a man of high standards, an advocate for children who left a lasting impact on the community he served. As word quickly spread of his passing, a great deal of those who had been influenced by Mr. N. flooded the family’s Facebook pages with fond remembrances that varied from solemn to amusing, and all full of heart. Former student Ruthie Grote Murray remarked, “We may have been scared to death of him, but all of us walked away from BGHS with the utmost respect for him. Some of us still laugh about kneeling on the floor and praying the hem of our skirts touched the floor! Mr. N. would certainly have his work cut out for him if he had to enforce that now. Funny how some of the little things in life we remember. Great memories of a great man,” she added. It has been more than 30 years since Mr. Nienhueser has patrolled the halls of BGHS, but his presence is still felt by a great many whose lives were touched by his influence. Mr. Nienhueser was born Nov. 4, 1924. At just 18-years-old he was drafted in 1943 and bravely served overseas at the height of World War II. He was an Army Sergeant who took part in the front lines of campaigns in Belgium, England, France, Germany and Holland. With the 35th Infantry Division, Nienhueser’s actions in 1944 were met with Silver Star recognition. While in France he led his squad into machine gun fire and was able to secure the position and then assisted with the evacuation of casualties. The Silver Star Medal is the United States military’s third-highest decoration for valor in combat. Nienhueser was also awarded the Bronze Star for heroic achievement/service, meritorious achievement/service in a combat zone. He also received the Purple Heart in recognition of his time serving in World War II. Like so many of his fellow veterans, Mr. Nienhueser’s military experiences greatly shaped the man he became though he was selective in his discussion of those times. Following his time in the military, he went on to help shape the futures of thousands of young minds in teaching and administration. He came to the Bowling Green School District to serve as high school principal in June 1958. He spent the next 26 years in that capacity until his retirement. Serving by his side was his wife, Anna, who was a publications teacher at Bowling Green High School. Both were well-known for running tight ships. Bob Kirkpatrick called Mrs. Nienhueser a stalwart for Mr. N. over their 68 years of marriage. “She supported him and they believed in a good school. They made a good team,” he remarked. Kirkpatrick came to the Bowling Green School District in 1975 as a junior high teacher and coach. He served for a year as a high school guidance counselor under Mr. Nienhueser before becoming the middle school principal. Kirkpatrick said Mr. N. was instrumental in his career. Kirkpatrick said he called on Mr. Nienhueser many times for advice. Kirkpatrick noted that his most fond memories are of fishing trips Mr. Nienhueser would organize for male faculty members following the school year that lasted two or three days. Kirkpatrick added that Mr. Nienhueser was not someone who wanted to be fussed over and didn’t look for praise or recognition. When Mr. N. retired from Bowling Green High School in 1984 it was Argil Ellison who stepped into that position after spending several years at Mr. Nienhueser’s side as an athletic director and assistant principal. Ellison came to BGHS in 1968 and found tremendous guidance under Mr. N. He also found a kindered spirit as both were avid outdoorsmen. Ellison said he tried to follow the example set by Mr. N. when he took over as principal from 1985 until 1995. Ellison also remarked on the asset and partner he had in his wife, Anna. Ellison said he had kept in contact with Mr. Nienhueser over the years and enjoyed conversations with him while he was a resident at Moore-Pike Nursing Home. The 1985 Bowling Green High School yearbook was dedicated to Mr. N. for his 26 years of service. In the dedication it was noted that he was principal to many students of his former students and that many also went on to have careers in education and served on his high school faculty. The dedication also pointed out that Mr. N. saw over 3,000 students graduate from BGHS and that during his tenure he saw transitional times as students used to be transported for P.E. classes to the Wilson Gymnasium (the current middle school gym) and the former grade school for other classes. During his time he saw the merger of Frankford High School with Bowling Green and Mr. Murry Smith become the new superintendent. Mr. N. also saw the move from the former high school (on Centennial Street) to the new one in 1966. The yearbook dedication also noted that Mr. N. saw the initiation of football as an interschool sport, construction of the stadium and locker rooms, the 1962 state basketball championship under Coach Gene Hall, the beginning of a National Honor Society chapter and the inclusion of three foreign exchange students. The dedication included two pages of pictures (a few of which are included in this week’s edition of The People’s Tribune). 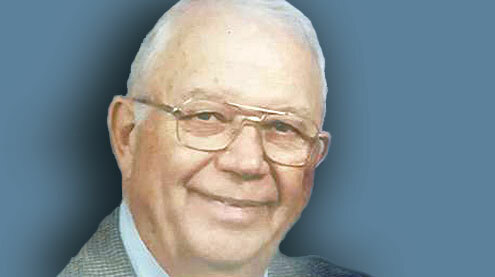 A complete obituary for Mr. Nienhueser will appear in a future edition of The People’s Tribune. A visitation will be held at Bibb-Veach Funeral Home on Thursday, April 20 from 4-7 p.m. Funeral services will be held at First Presbyterian Church on Friday, April 21 with a visitation starting at 10 a.m. and services starting at 11 a.m.